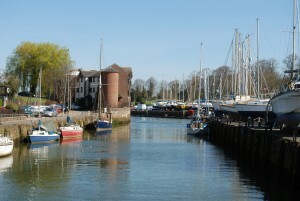 The Riverside is a thriving community venue located next to Newport Harbour in the centre of the Isle of Wight. It is a place of integration in both ethos and practice and is used by a diverse group of people and organisations from morning till evening, seven days a week. The Riverside is a fully accessible building with toilets in accordance with the Changing Places campaign, induction-loop facilities, handrails, emergency cords and experienced staff. The Riverside community embraces diversity through its policies and practice of integration, inclusivity & accessibility. Being welcoming to all and centrally located, the Riverside is a great place to hold an event, whatever the occasion. It is available for meetings, weddings, parties, conferences, exhibitions, regular groups and any other form of gathering you may require. 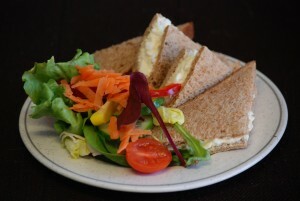 We have a fully licensed bar and catering facilities and a range of equipment and services that can be hired. We have function rooms of varying size that can accommodate up to 300 people. We have the largest function room available to hire in Newport. 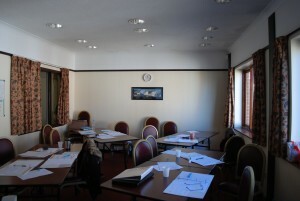 Why not hire one of our training rooms for a meeting, seminar or training session? Free WiFi access is also available. We have a fully licensed bar, with beer, lager and cider on tap, bottles of real ale, a full range of spirits and a selection of soft drinks. We also sell a selection of crisps, savoury snacks and confectionery. Hot drinks can also be ordered at the bar. Our in-house chefs can cater for up to 250 people buffet style and 160 when seated, providing food tailored for your individual needs. All our menus are tailored to meet your needs but we have put together some sample menus so you have an idea of what we can do. Jugs of water can be provided free of charge for all meetings and bottled water can also be supplied. 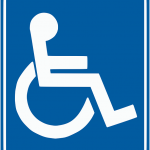 We offer a limited amount of parking with designated bays for blue badge holders. We ask you to sign in at reception when you park in our car park. There are several Isle of Wight Council run car parks within easy walking distance of the Riverside, all of which are free of charge after 6pm. See council map here. Newport Quay has a rich history. It was a thriving harbour, crucial for the import of goods to the Island prior to the arrival of the train and road imports. Evidence of its history is still evident in the form of its buildings and architecture. For a personal history of life on the Quay in the last century, see here. The old Porter Store and Rope Store now house the Quay Arts Centre. The Red Squirrel Trail runs from Sandown to Cowes, via Newport and can be joined on the opposite side of the harbour from the Riverside. This family friendly trail has been tailored for cyclists who prefer car-free cycling on mainly flat, gentle routes. Much of this trail runs along purpose-made tracks along the Isle of Wight’s disused railway lines, ensuring a leisurely cycle through the Island’s countryside.